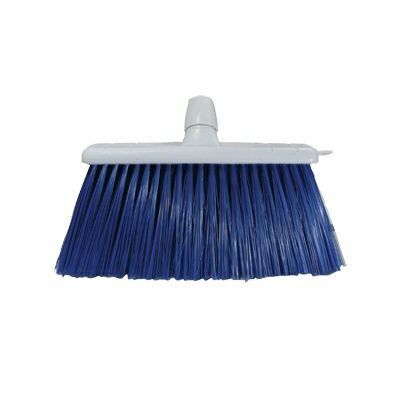 With their durable ABS plastic construction, our Stiff Broom Head has been manufactured for use in busy work environments. Each one has been fitted with high-quality nylon fibres which offer exceptional strength while the densely packed bristle pattern captures all dirt and dust found on your floor. They are available in an assortment of different colours to coincide with your cross-contamination prevention regime and helps to maintain hygiene within all work situations. 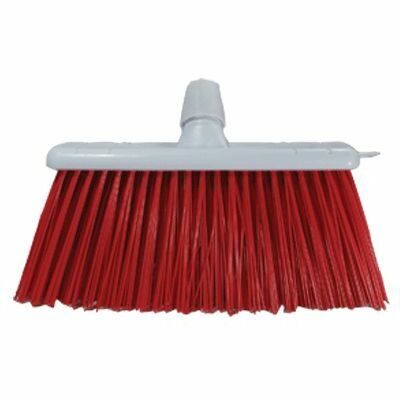 These heads are suitable for use with our colour coordinated Broom and Mop Handles.